I’ve seen two memes on Facebook recently that gave me pause to think about a few of the food items I used to consume regularly. But it didn’t start there. I’ve thought a lot over the past few years about the chemicals and additives frequently found in food products that, although deemed fit for consumption by the United States Food & Drug Administration (USFDA), just don’t seem logically “OK” for me anymore. 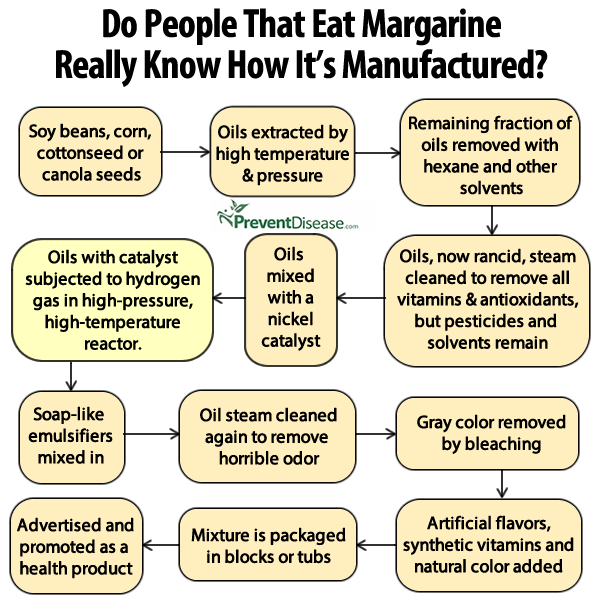 This meme, credited to preventdisease.com, describes the process for manufacturing margarine – a longstanding staple in many weight loss diets. People tout its lower fat, lower calories, and spreadability – but look at what’s in this stuff! I read similar information about a year ago, and based on that, I eliminated margarine from my diet. When I first returned to real butter, I about had to strap my taste buds down. The sweet, creamy flavor was amazing, and so far superior to the artificial processed flavor offered by its imitators. 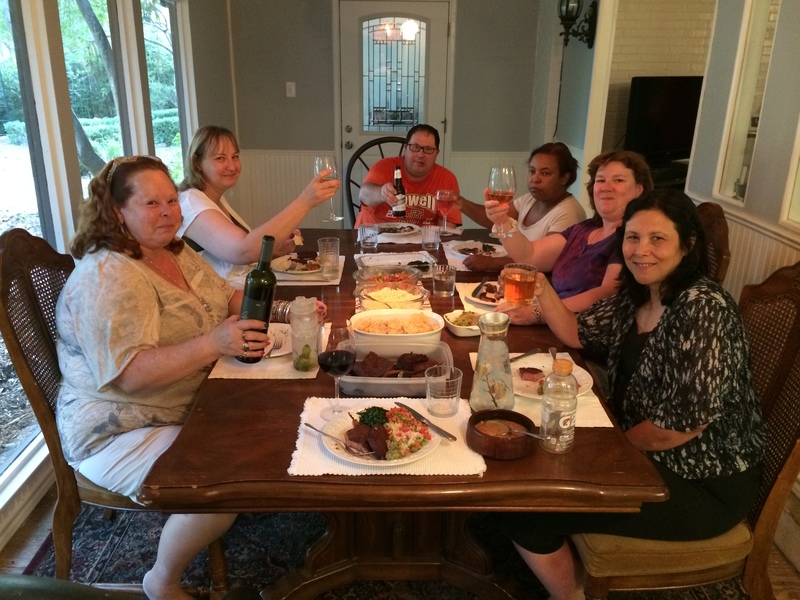 In our home, we cook with butter, we bake with butter, we spread it on our toast, we garnish our veggies with it – yum! Butter, consumed in moderation just like anything else should be, is now a staple in my diet and I couldn’t be happier. My wife and I used to consume Diet Coke by the case. Looking back, it took me quite a while to adapt to the taste, but I was convinced that the lack of calories and sugar would be much better for me than the “regular” soda sweetened with high fructose corn syrup (HFCS55). To be honest, neither Aspartame, Saccharine, HFCS55 nor any other non-sugar sweetener is all that appealing to me these days; so I avoid all of them. 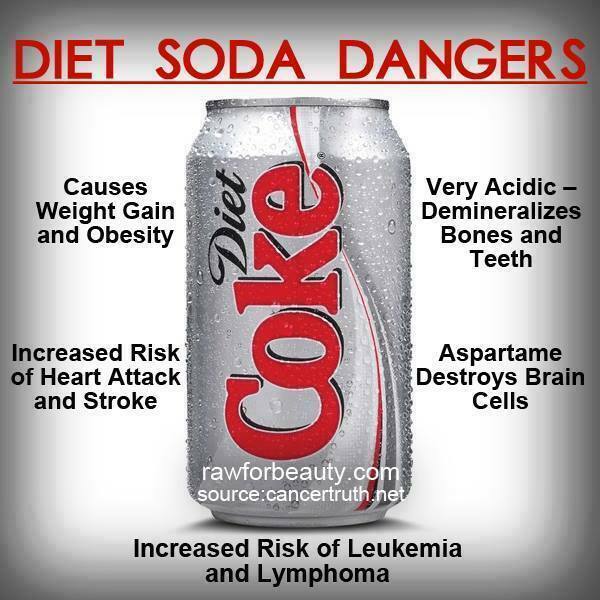 This meme, although featuring a can of Diet Coke, addresses the dangers of any diet soda. Information on the dangers associated with other artificial sweeteners, including HFCS55 is succinctly provided at http://www.examiner.com/article/10-dangerous-sweeteners-coca-cola. I visit this dispenser throughout my work day. Delicious H2O! Have you seen “The Waterboy” movie starring Adam Sandler? One of my favorite quotes, and I use it often today, is Bobby Boucher’s acclamation, “now that’s some high quality H2O.” Water is my favorite beverage. I have a glass of water on my desk at work all day and refill it several times. 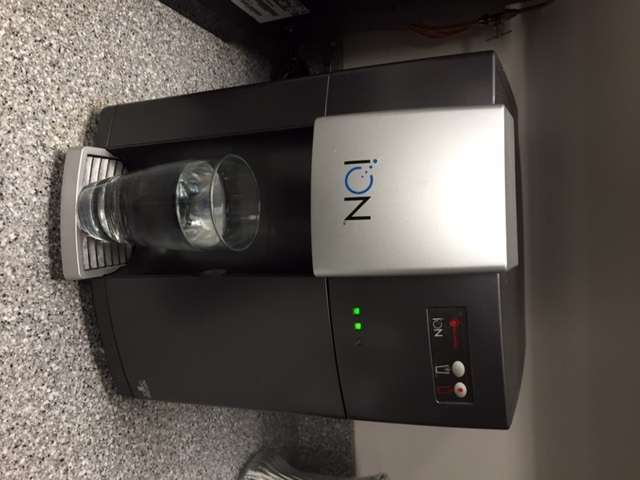 This machine in our office break room puts out some of the finest tasting H2O I’ve ever tasted. My refrigerator at home, with its built in water filtration system, also yields a fine glass of cold refreshment. I call water “God’s Soda Pop.” It is an essential component of life. And I find it absolutely wonderful. This slideshow from webMD offers 7 benefits to our bodies of water consumption http://www.webmd.com/diet/healthy-water-9/slideshow-water-health. Please, take all of this with a grain of salt. It is a conglomeration of information I’ve read and absorbed over the years. 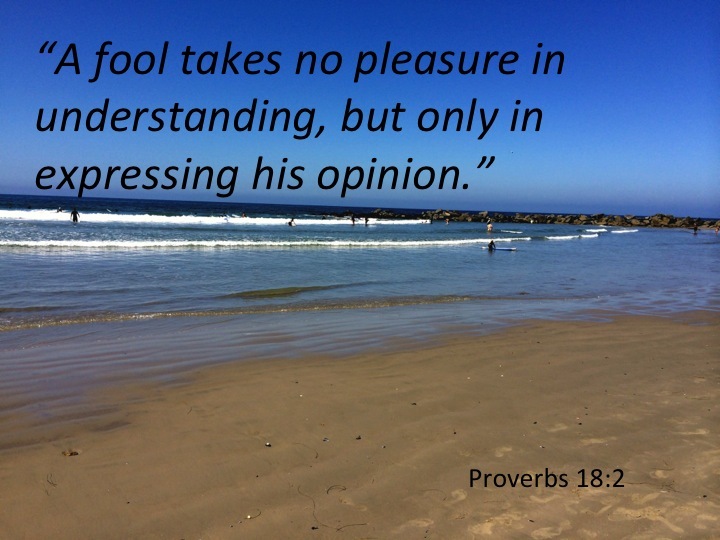 I’m not a nutritionist; each of us should consult with our personal physicians about our diets and the foods or additives that he or she feels are best for us. Hmmm, salt. Perhaps I’ll research that next.